A point comes in life when many learners start to wonder about the possibility of studying overseas. There are many reasons why learners wish to study abroad and there as also many reasons for staying put. There are also personal fears that might plague a learner when thinking about studying on a different continent, or in a different culture. In this post we look at some of the motivating and detracting features of studying overseas, as well as touch on some of the well-founded fears and insecurities learners, may have. There are plenty of reason that studying overseas is attractive. They range from travel experience to academic prestige and are all valid. Some of the benefits of choosing an international institution are below. Particular universities might be attractive as they have specific courses, disciplines and specialities that attract learners. These may not be available in South Africa or not be at the desired standard or depth . Some learners desire to experience the ‘stereotypical’ university experience portrayed in movies. While this is available to a degree at some universities in South Africa, not all offer that lifestyle. Some learners and their parents are concerned about the state of the South African education system. Many high school leavers seek a more international perspective on their curriculum and cultural experience. For individuals with a bit of wanderlust, but who want to get on with their studies, this is a way to do both. Postgraduate courses overseas may be more specialist. Also, many feel that if you are already overseas, there are more prestigious and international studying opportunities as you progress . 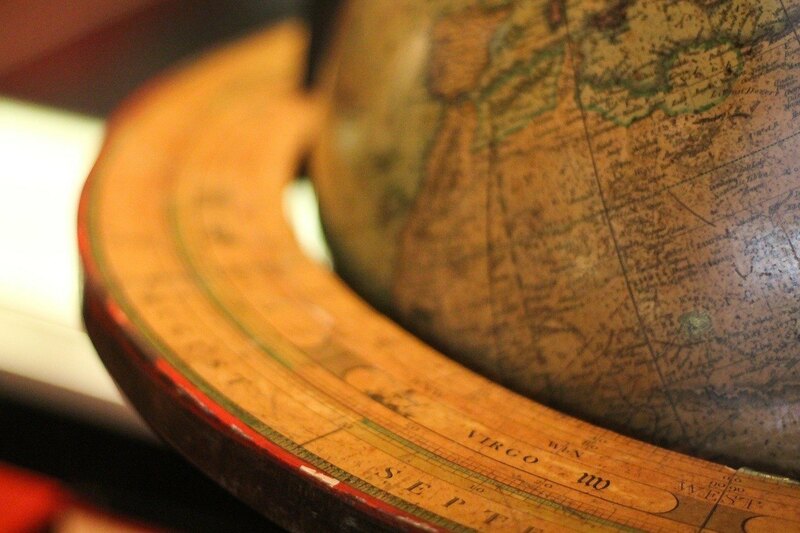 There is no denying that there is a certain prestige associated with studying abroad. This prestige is particularly associated with the ‘historical’ universities – the fabled Ivy league in the US, and many old universities in the UK (such as Oxford and Cambridge or ‘Oxbridge’). The prestige is also associated with institutions that are seen to be on the forefront of research and development and are ‘big names’ in certain fields. There is no denying that there is a certain prestige associated with studying abroad. 98% reported the study abroad experience helped them to better understand their own cultural values and biases. 97% Reported that studying abroad served as a catalyst for increased maturity. 96% Indicated that it increased self confidence. 95% Stated that it has had a lasting impact on their world view. 94% stated that the experience continues to influence their interactions with people from different cultures. 90% said studying abroad influenced them to seek out a greater diversity of friends. 89% Said studying abroad enabled them to better tolerate ambiguity. 86% said that it reinforced commitment to foreign language study. 48% Stated that they have worked internationally or participated in volunteer activities since studying abroad. If you are interested in the overseas option so that you can experience a different culture, don’t forget the semester option. Many universities have exchange programs and there are many short-term scholarships and study programs aimed at cross-cultural experiences. The section ‘Research, research, research‘ later in this post has some links to opportunities. Many universities have exchange programs and there are many short-term scholarships and study programs aimed at cross-cultural experiences. 87% claimed that studying abroad influenced subsequent educational experiences. 80% reported an enhanced interest in academic study. 76% reported they acquired skill sets while studying abroad that influenced their career path. 62% said studying abroad ignited an interest in a career direction pursued after the experience. 52% attained graduate degrees; of those, 15% received a Ph.D, Ed.D, JD, or medical degree. The full results are available in pdf form here. While the survey is US based, University aged students the world over have certain things in common, and the human experience means that life lessons learned by individuals will hold true to most extents. It is also important to keep in mind, however, that Universities in South Africa are just as equipped to offer inter-cultural experiences. Attending a South African university is a platform to witness, encounter and embrace the diverse and complex nature of our country and continent. South Africa is a country with a great depth of soul. Many students from other countries consider SA a great ‘overseas study’ destination. So, why look outside ‘the borders of the pride land’, when there may be more at your fingertips than you realise. Africa is a developing continent. Different countries are at different points, and each experiences its own unique struggles and successes. Academic research has been dominated by Eurocentric environments and methods as that was where much of modern academia originated. In ‘recent’ years North America, many Asian and now middle-eastern countries have come to the fore with innovations and new academic approaches. Africa is a huge and varied continent – both geographically and in terms of population. As such new areas of res earch and ways of thinking are being brought to the table, and new discoveries are being made. The fight against HIV and AIDS, Malaria, and many other diseases is directly relevant to those living on this continent. As the second largest economy on the continent and one of the most developed countries in terms of infrastructure, South Africa is vital to academia on the continent. We provide qualified professionals and valuable research. Prestigious projects such as the SKA (Square Kilometer Array) are being awarded to South Africa as its capabilities are being acknowledged. South Africa is vital to academia on the continent. In the sciences, in particular, funding is growing when it is shrinking in other parts of the world. In fact, research funding in South Africa ranks fourth highest in the world. So attending a South African university can put you in line to work on some internationally acclaimed and important work. Besides that, you will be learning from individuals who are involved in building a body of African research and academics that has been lacking until recently. You will also be able to contribute towards this body of work. It can be incredibly expensive to study overseas, especially if you do not have a scholarship. It is also very competitive to get into an overseas university – there is generally very limited space for foreign students in each university. Because of this, the process can be very time-consuming and rigorous with no guarantees of a placement at the end of it. Not all currencies are equal. So while international student fees are already usually more than local fees, the state of the Rand doesn’t help. The exchange rate is something you must take into consideration when looking at different countries as options. Not everyone is cut out for living overseas or even just away from. If you are going with the aim of getting a degree, you need to be a mature and well-organised individual. This is something that not all school leavers can claim. One last thing to consider is that once you leave South Africa and live your student/young adult years in another country, it may be difficult to return. If you are interested in going overseas for all or part of your tertiary studies, here is a helpful infographic to help sift through options. Furthermore, there are many blogs dealing with the experience of studying overseas. Some are first person perspective and others (such as SmartStudy for made the infographic above), aim to help students along the way to achieving their dream of studying overseas. Good luck with the research and enjoy the journey! Whether it be beyond or borders or to new places in SA. If you want to read some first-hand overseas study experience, keep an eye out for our Studying Overseas Series.